The Driveway Lite has been designed to mount flush with any level surface. Having no protruding parts, it is ideal for driveway lighting or path lighting, or in a hotel or building foyer for example. Designed so the lamp can be directed up to 20 degrees, without the need to remove the fitting from the canister, and having a the three vandal-resistant Allen-head screw fixing system which attaches the flange to the body of the luminaire, this is a invaluable luminaire for any exterior lighting project. The Driveway Lite is supplied with a mounting canister that facilitates ease of installation. The luminaire can be driven over or walked upon without fear of damage. 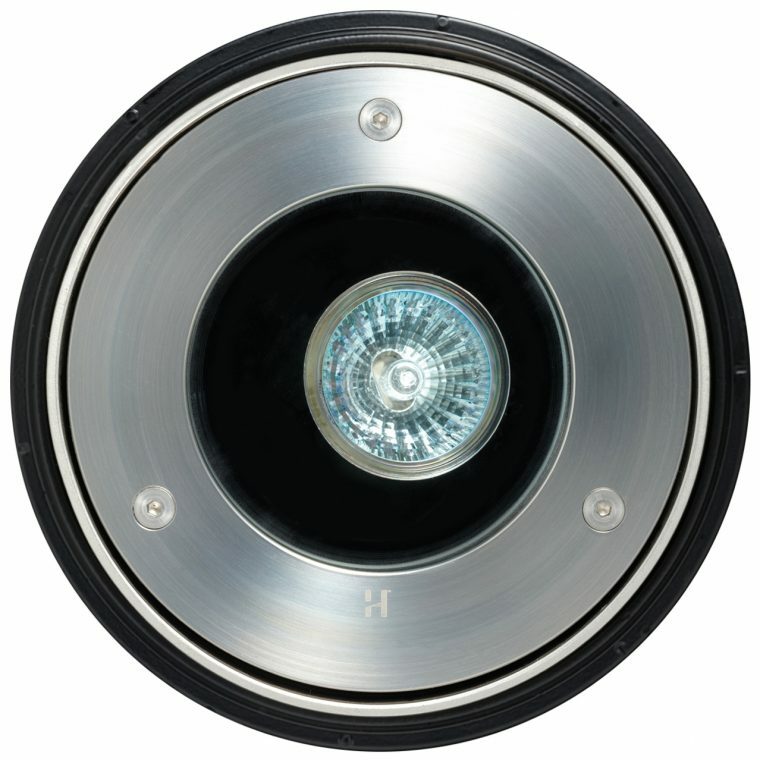 This luminaire has a solid bronze or 316 stainless steel flange, a 10mm thick tempered glass ‘Flush Fit’ lens that stops water pooling and dirt depositing. A solidly constructed body, cast from aluminium with black UV stable powdercoating, and silicon gaskets. This low voltage luminaire is suitable for use with an MR16 – 20, 35 or 50 watt lamp and is supplied with a high quality 50 watt European 5000 hour lamp.